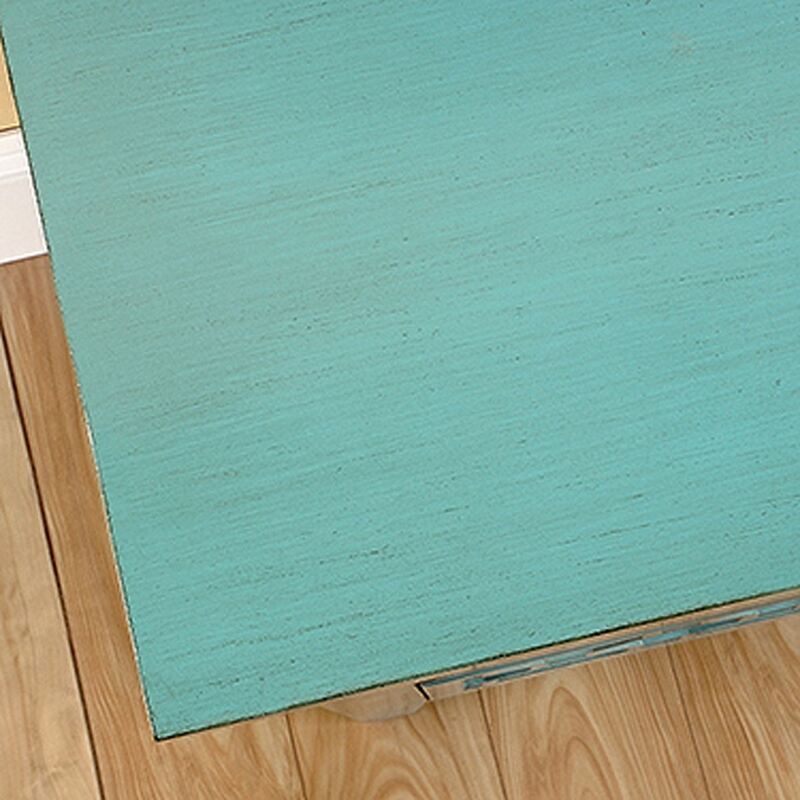 Shoal Creek Storage Seafoam Green By Sauder. Looking to make a statement? 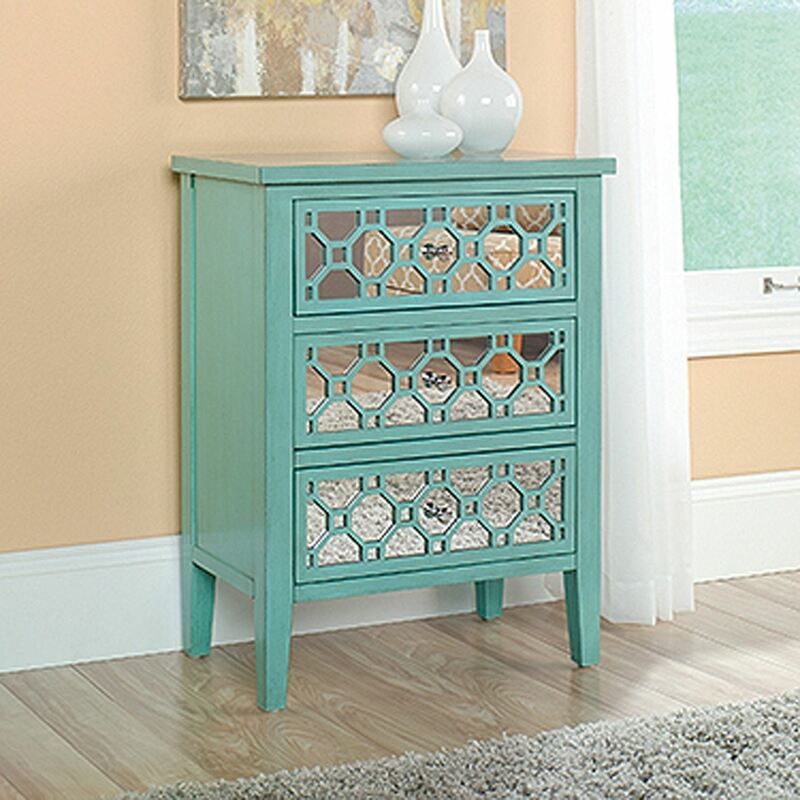 Check out this accent storage chest by Sauder. 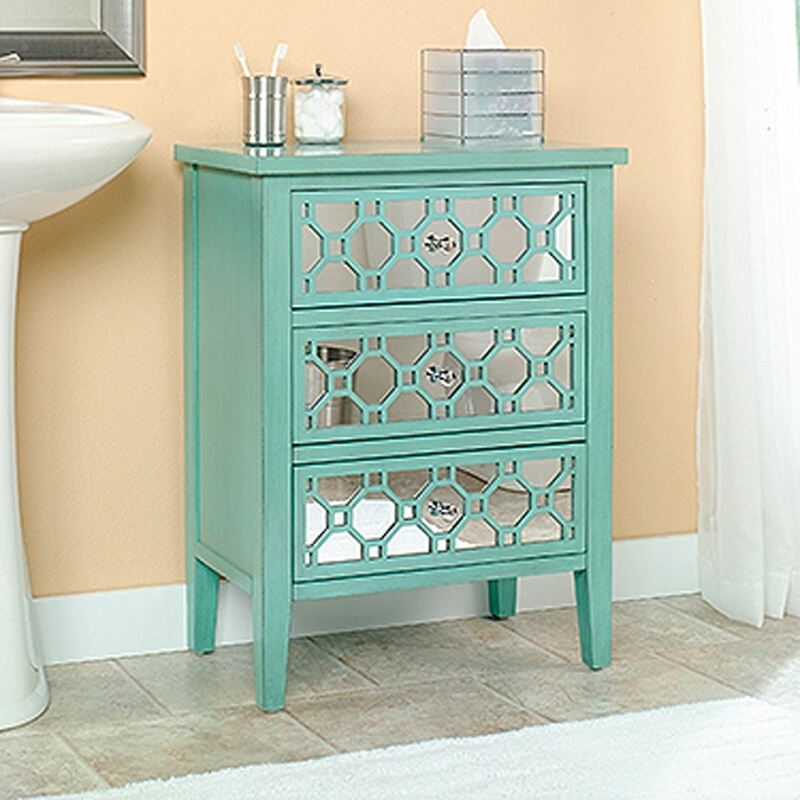 Uniquely designed with a geometric, mirrored pattern on each drawer, this colorful furniture is sure to catch some eyes. 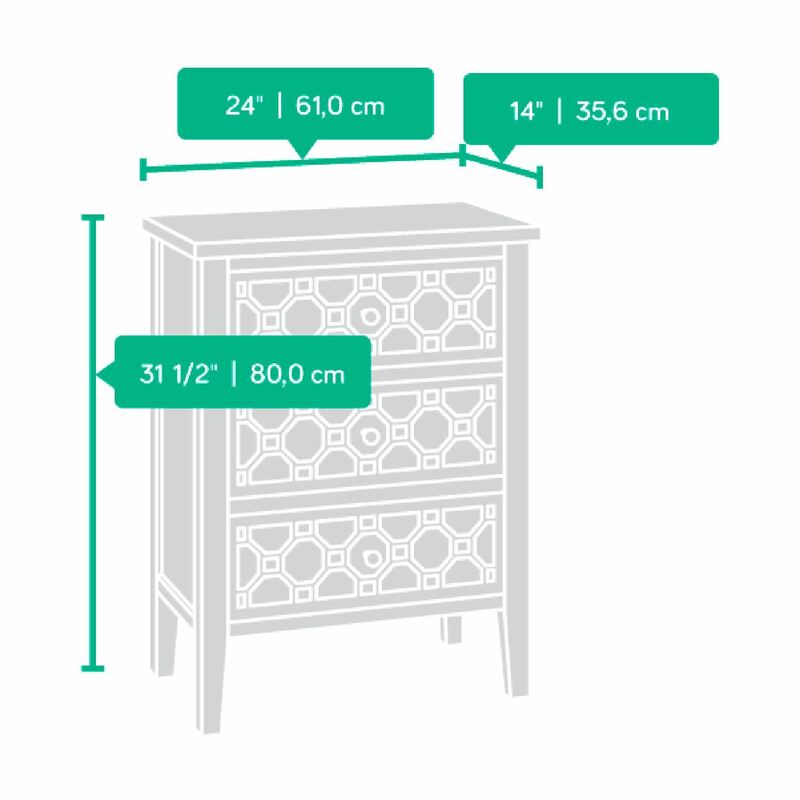 With three full drawers, this accent cabinet is perfect for storing clothes, blankets, board games, you name it. 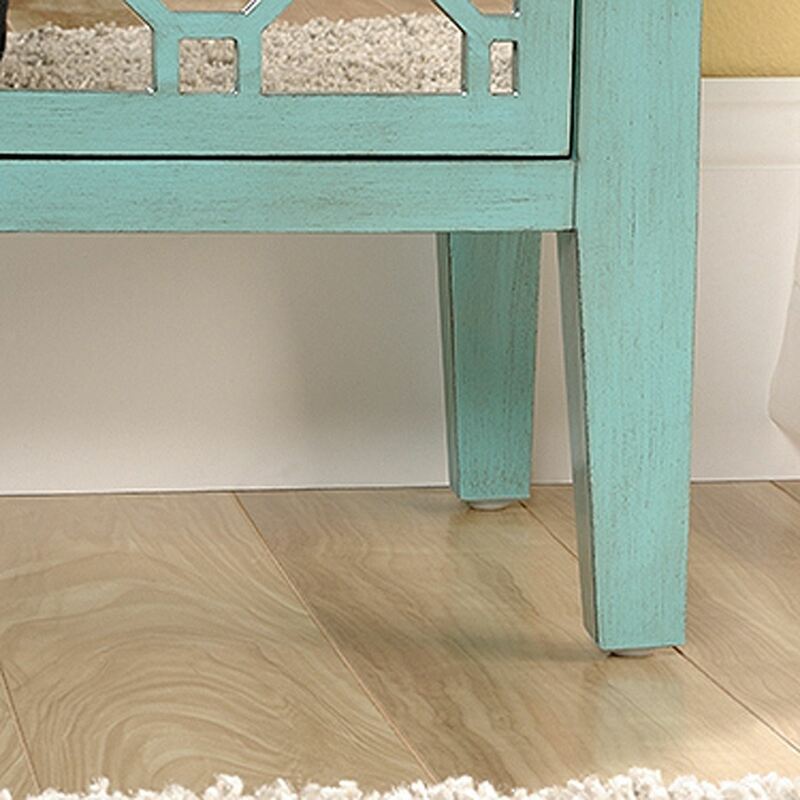 Finished in an edgy Seafoam green, it will take your house from drab to fab. 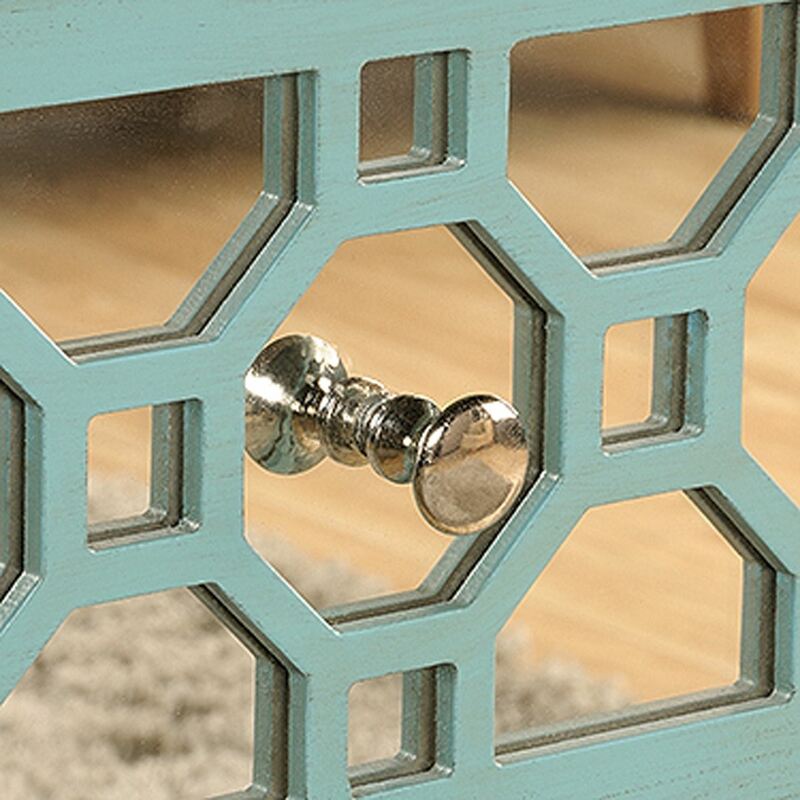 Additional features of this accent furniture include: Three drawers feature geometric, mirrored design.